The Ultimate Pizza Party – Read & Win! 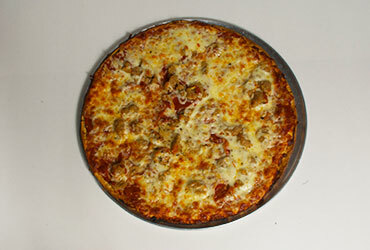 At Chanticlear Frozen pizza it’s pretty simple, we love pizza, and we love what we do! And what gets us excited every day is the passion for making awesome, frozen fresh pizzas that don’t taste like a flavorless cardboard box, but instead, like a pizza right out of the oven at the pizzeria! All pizzas are not made the same. We use a sauce that blends vine-ripened tomatoes, herbs and spices. We use fresh vegetables including mushrooms, red onions, black olives, green peppers and red peppers. Our meats are premium MSG-free meats. Cheese you ask? Our 100% Wisconsin mozzarella cheese is grated right off the block daily. This all adds up to a frozen pizza different from any other that you have tasted, and we invite you to give us a try at any of our demo days taking place frequently at your favorite grocery store across the metro area. Still not convinced? Follow us on Twitter, like us on Facebook, and register for our email newsletter, and as a thank you, we’ll enter you into a drawing for a case of our frozen fresh pizzas delivered right to your door step! This will include a super tasty variety pack with randomly selected pizzas from our line of mac-n-cheese, pepperoni, veggie, cheese, pepperoni and sausage as well as our new, gluten-free, extra cheese pizza! Invite your friends and neighbors over for the ultimate pizza party and as we like to say, tasting is believing. However, we’d advise you to try a pizza first, because you just might want to keep the case for yourself! Thank you for reading, and remember, life is short, eat great pizza! Have yet to try the frozen pizzas; but love the restaurants!